Dokra technique has been used for over 4,000 years in Mohan Jodaro Dancing girls, and is still used. These brass handicrafts (with occasional wrought Iron infusion) are unique in itself as each piece is made from a new mold which is lost in the process. 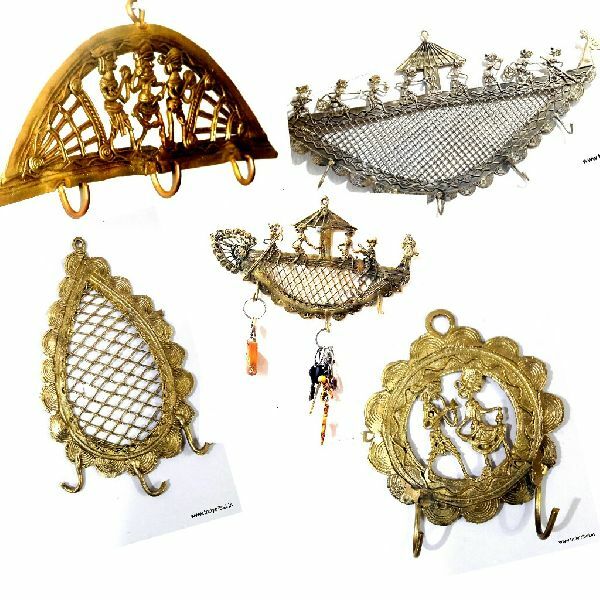 The utilities like Key holders and pen stands suits well for home decor, social and corporate gifting..
We have team of dokra artisans crom central India and product the custom as well as standard designs for the Brass dokra handicrafts décor & showpieces.